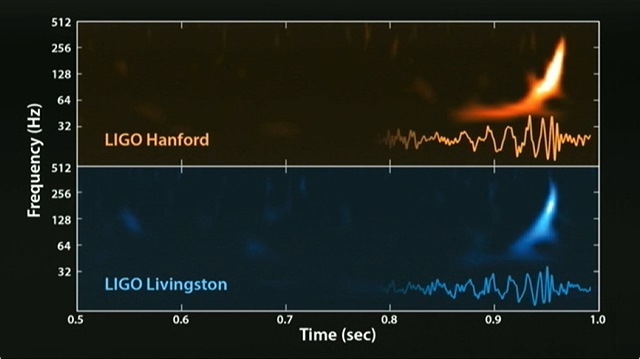 Arguably the biggest science story of the year is the announcement of the detection of gravitational waves by the Laser Interferometer Gravitational-Wave Observatory (LIGO). By monitoring the collision of two black holes 1.3 billion light years away, LIGO picked up the distinctive signal (labeled a “chirp”) at their dual detector sites. The chirp provides evidence for Einstein’s 100-year old theory of general relativity and his ideas of the space-time structure. This discovery also points to a future of astronomy that includes gravitational-wave observations, complementing and enriching the information we receive from optical and radio sources. 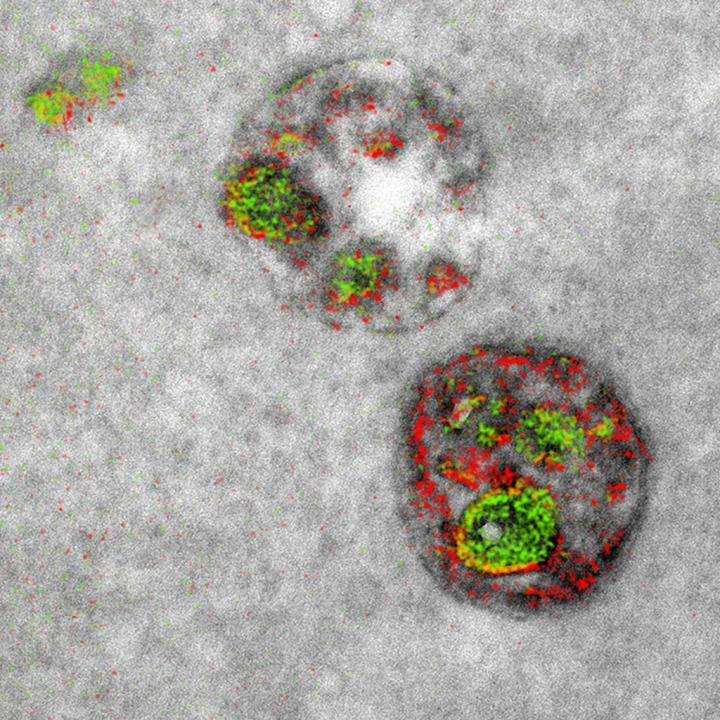 After 13 years of development, the very first color image from an electron microscope (albeit two-color only) was taken. The technique requires the use of lanthanide metals layered over of cellular structures. The colors are derived from the electron energy-loss spectra of each lanthanide deposit, so these aren’t “true color” images but rather a method to see structures and functions in more detail. As of now, only the colors red and green can be reproduced with this new method. But with additional experimentation, the researchers hope to add additional colors to their paintbox. The extent of Arctic (north pole) sea ice has reached its lowest point during modern recordkeeping. 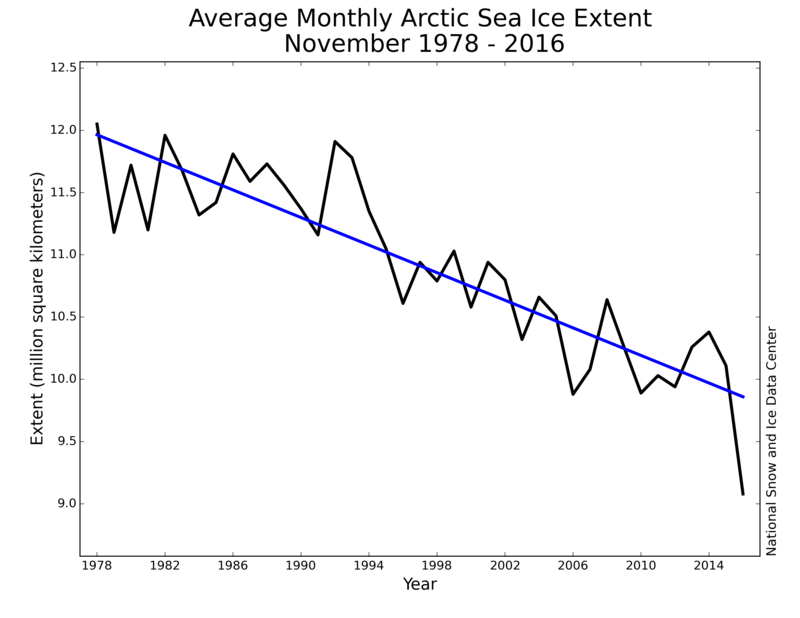 The National Snow and Ice Data Center (NSIDC) states that the extent of Arctic ice in November 2016 continues to decline, averaging 5% lower per decade, with 2016 equalling 1.95 million square kilometers less ice coverage than the average from 1981-2010. NSIDC points to the much warmer temperatures of the Arctic as contributing to the decline of the sea ice coverage. The air temperature of the atmosphere at 2,500 feet has been above the 1981-2010 average, with the local North Pole temps 18°F (10°C) higher than the average. You can learn more about how Earth is warmed and cooled in our module, Factors that Control Earth’s Temperature. In April, the first child conceived using DNA from three different people was born. The goal was to avoid a genetic disorder, Leigh syndrome, being passed on by the child’s parents. Researchers were able to combine the mother’s DNA with a donor’s egg and then inseminate the modified egg with the father’s sperm, resulting in the child receiving DNA from the mother, father, and donor. Though certainly a scientific breakthrough, the procedure has been the source of controversy since it is banned in the U.S. (the parents went to Mexico for the medical work) and raises a host of ethical questions. You can learn more about these types of ethical issues in our module Scientific Ethics. Nihonium is a name proposed by the discoverers, RIKEN Nishina Center for Accelerator-Based Science, based on the Japanese word Nihon (“Japan” or “the Land of Rising Sun” in Japanese). Both Mc and Ts were discovered by a joint partnership of the Institute for Nuclear Research, Dubna (Russia), Oak Ridge National Laboratory, Vanderbilt University, and Lawrence Livermore National Laboratory. Moscovium is in honor of Moscow, where some of the experiments took place. Again, discovered by the joint partnership mentioned with Mc, Tennessine honors the Tennessee region, where the other three organizations are located. Named in honor of Professor Yuri Oganessian, an important researcher of transactinoid elements. 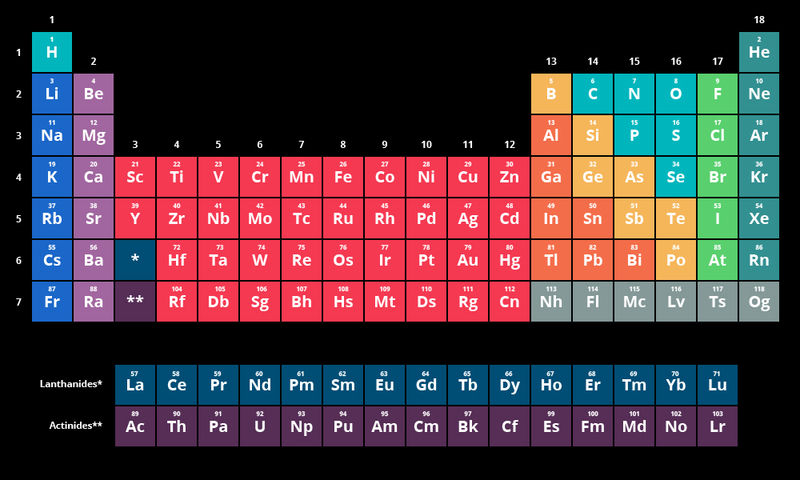 You can learn more about the Periodic Table of Elements in our module discussing the discovery and layout. 2016 continued the discussion about the “reproducibility crisis” in science, especially the claims made in scientific publications. An alarming trend has been the reliance on certain statistical outcomes as indicators of the quality of the science. The use of one of these statistical tests, the P-value, a measurement of the strength of the evidence against the “null” hypothesis, was clarified in an American Statistical Association (ASA) statement. 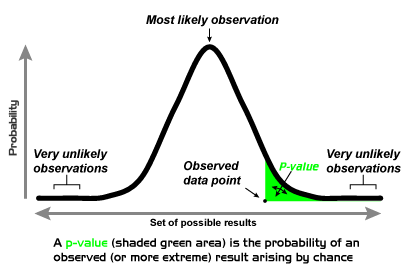 According to ASA, P-value refers to “the probability of an observed data summary (e.g., an average) and it’s more extreme values, given a specific mathematical model and hypothesis (including the ‘null’).” What it is not is a measure of the credibility of the conclusions drawn from the observed data, as Heather Falconer notes in her post, Rethinking the value of P. You can also explore more on the topic in our Statistics in Science module.